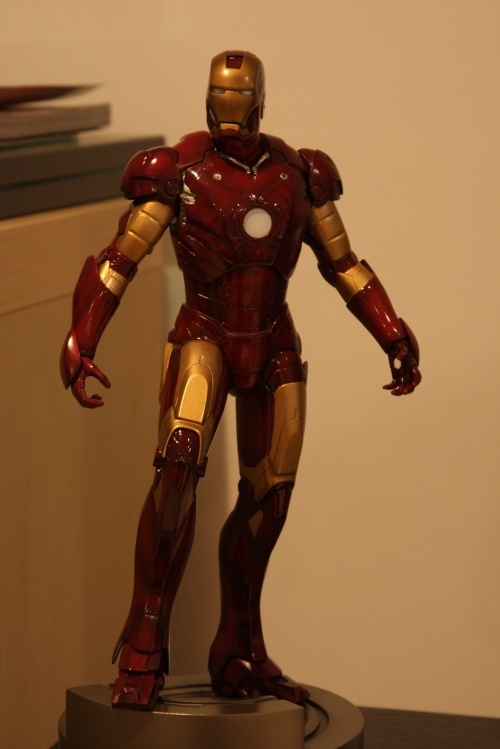 I have was gifted the original Kotobukiya Iron Man Statue last year, and its probably one of my favorite models that I currently own. 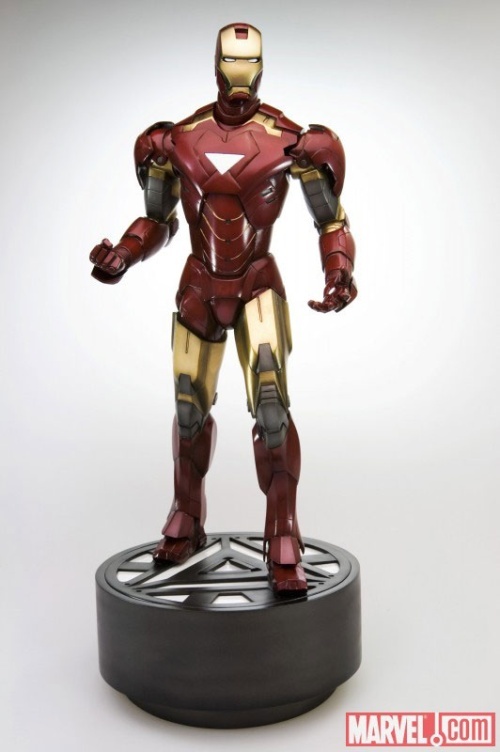 I honestly look at that Iron Man consistently, wondering what it would take to make a machine such as this, and it looks so realistic and such a fantastic model. 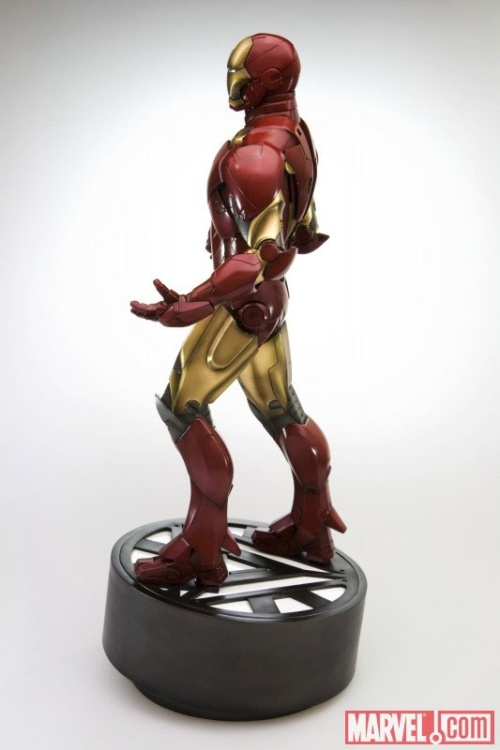 Now they have come up with the new design of the new Iron Man, and it looks good, they look fantastic together. 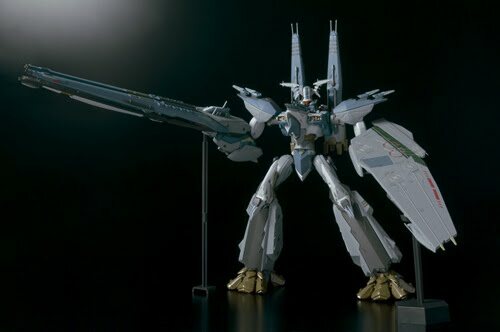 Now the movie comes out in May of 2010 and this model from Kotobukiya comes out in September of 2010. You can see the developments in the suit, now to see what this equates to as weaponery and suit strength in the movie. I hope that Kotobukiya comes out with a War Machine model that can go with these beautiful models as well. 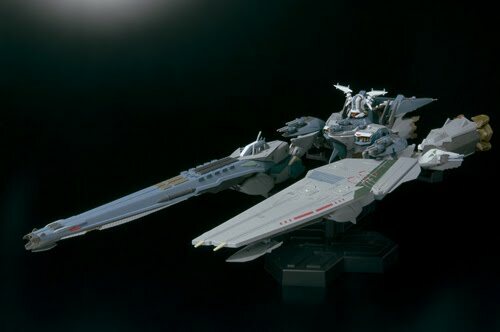 Every once in a while a new model comes out which grabs my attention, this time around its the battleship from Macross. 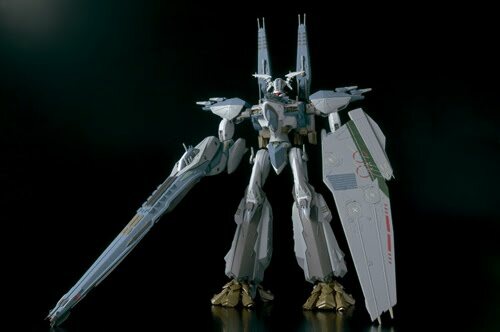 Macross Quarter is die-cast model from Japan which has both ship and robot form. A battle ship that is meant to house hundreds of thousands of people as well as weapons and spaceship, as can be seen one arm looks like an aircraft carrier and the other has more canons on it turning into a super canon. 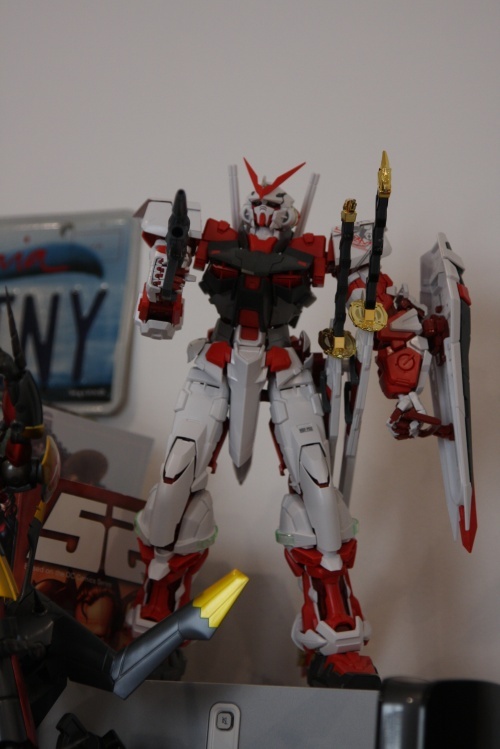 The quality build of this model is very high and currenlty available through Japan. 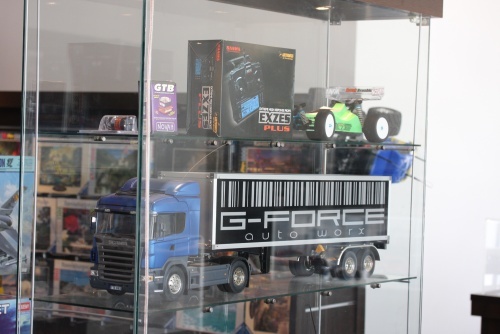 I’m trying to get my hands on one because its very rare ot get a model of this quality every day. 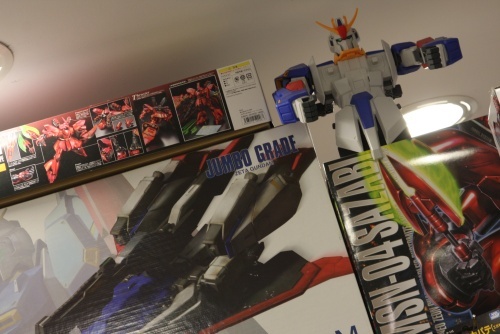 Its selling for around $170 which isn’t too bad for an anime model. Now this turned out to be an interesting shop, I haven’t been to Muthana Complex in at least 12 years and Mark told me about this place a while back so I decided to check it out. The only other Anime Model place I know is rihab and they also have a decent collection. 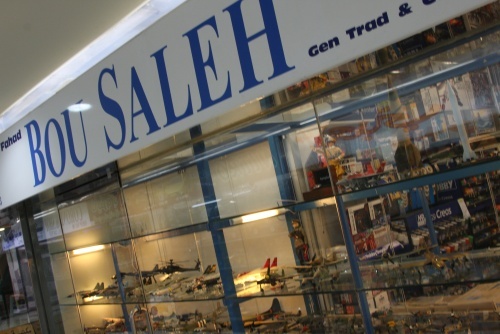 But this store is a little different they have a huge collection of Gundams as well as other items, he had one Transformer model that looked really cool but turns out it wasn’t for sale, it was BouSaleh’s private collection. 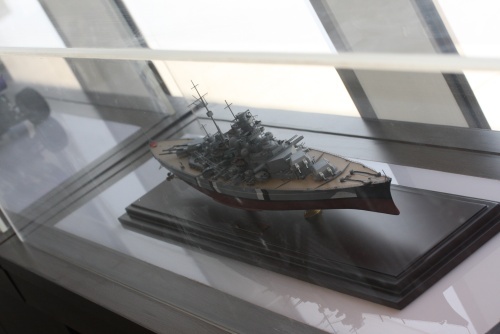 Then they had other items such as Jet’s and Air Craft Carriers which were genuine miniature models. 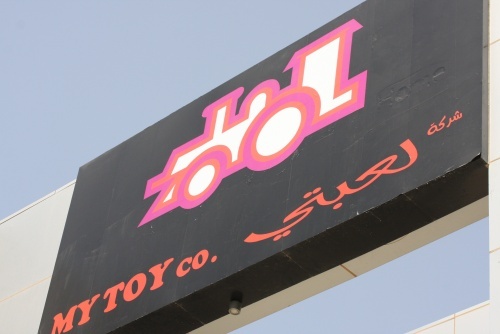 The place is packed, you have a large selection and the prices aren’t bad, a bit more then buying it online but the satisfaction of having then item right away is nice. Sometimes when buying models you don’t know what type it is but in this case, you get to see them and I picked up a few that I was looking for. It took me about 15 minutes to find the store because it isn’t in easy to find location on the second floor but at the end it was worth looking for it. One of the few models that have taken time to track down, Tachikoma is a special robot from Ghost in the Shell with an autonomous intelligence loyal to the team. The funny part is that they love a certain kind of oil, its like candy to them and they are like a bunch of kids in a room and when let out they have lots of fun. They are strong as tank and tactile with some weaponry to match. 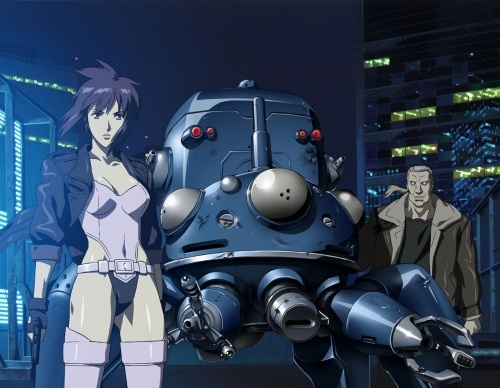 I always found them to be interesting characters, and I always like them and since I’m a fan of Batou from Ghost in the Shell they seem to view him as the favorite of the team. This model is from Fewture, they make some very interesting models and this is one of them. A diecast large size Tachikoma which is very movable and has an excellent finish. The red lights are kind of cool as well, but I’m really happy that I managed to find this model while looking for some Mazinkizer models and I think it looks really cool. 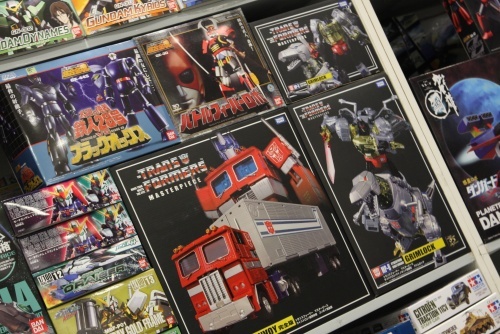 I’m running out of space to place these really cool models but I hope to find a solution, I have even kept some in the box in the back of the closet. I was hoping to find a good one of Major Kusanagi and Batou but that will take some searching to find. 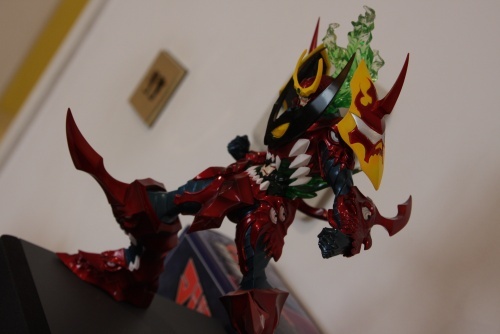 I ordered this model from Ebay through a Japanese Shop, and the images looked larger then life and it looked solid. I wasn’t exactly sure of what I was getting, but it was even better then I expected. Full resin pieces, they were heavy pieces too, nice and solid, and they were painted perfectly with an amazing glow. 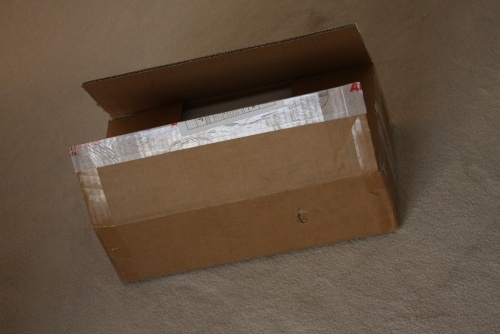 There was more padding in this box then I have ever seen but it still got some damage on the way here. Some pieces fit together with metal rods and some needs some superglue and luckily I recently bought some UHU superglue. When I started putting things together I forgot how sticky superglue was and how to handle it so I don’t get it all over me. Later on in the day both my thumbs, my left index and middle fingers were all smeared in super glue and slightly stuck together, I really felt like I was kid doing this for the first time again. The solution was either acetone or nail polish and I had neither, so I had to settle for hot water and soap, with some harsh scrubbing to get it started and then I left what was on to come off later in the day. I had to slowly glue those pieces together and make sure they stick, and it doesn’t stick instantly, takes about 5 to 10 mins and then I move to the next pieces. 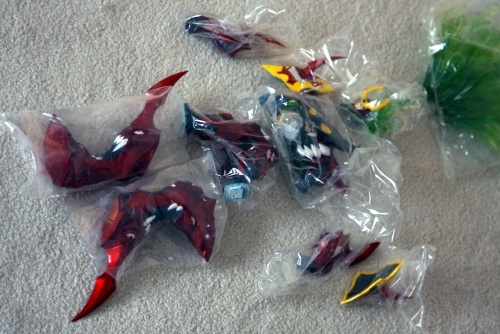 After about an hour and half I have the perfect Tengen Toppa Gurren Lagann Model. 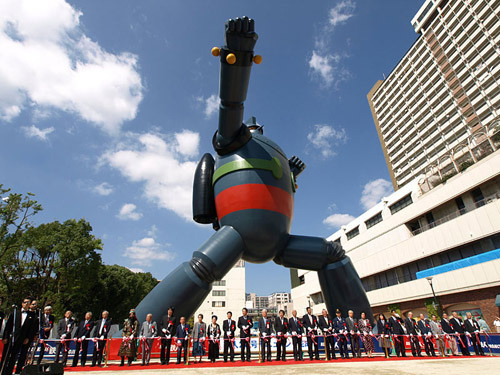 The Japanese have went and done it again, they have built one very heavy, to be exact 50 ton, robot in Japan for the crowd. And this is Tetsujin 28 from the old anime series that many of us saw a long time ago, who didn’t want to be a kid with remote control that would control a Giant Robot. I think its great that they would take $1.5 Million to be build something so great such as this 50 ton statue. Every once in a while you find the right piece that you really don’t expect, and this came out of no where. 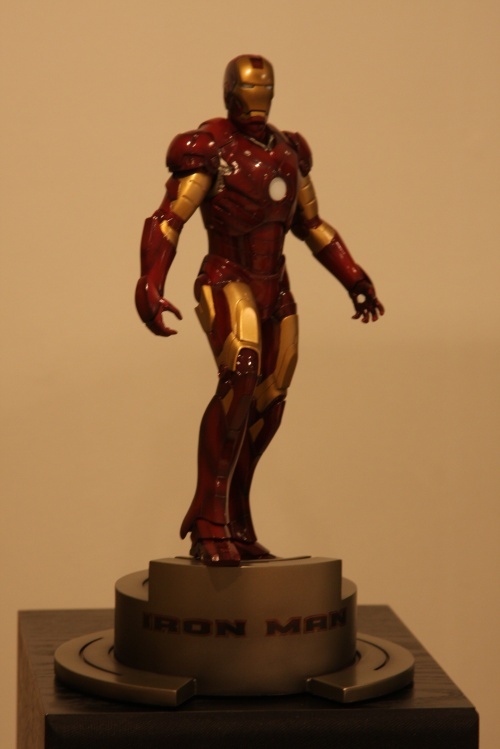 I received the Kotobukiay Iron Man Statue for my birthday a few months back and I have had the hardest time trying to figure out where to put this amazing statue, I can’t get enough of it but I didn’t want to ruin it. I kept on trying to figure out the perfect location for it, and simply I found the perfect spot in my home theater area. 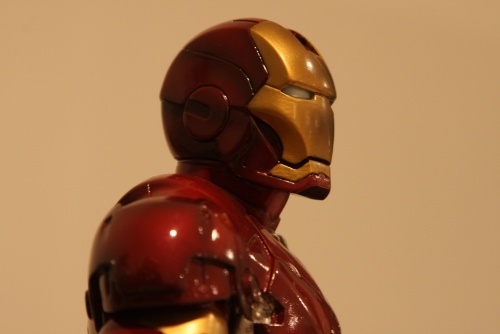 I placed Iron Man on the left front speaker, and I didn’t know until I unboxed him that there are is a switch to see the lights of the eyes and the chest plate. Its such a cool statue, I keep thinking if only I had the real life suit that this would be cooler. Its a perfect 13 inches, with a few bumps and bruises to resemble the real suit and the quality of the Kotobukiya statue is honestly amazing, every time a friend walks in I ask them what they think, the usual reaction is that its cool but when I switch on the light of the suit, there eyes pop out. I am one happy movie goer, now to only work on the getting a fully functional suit. 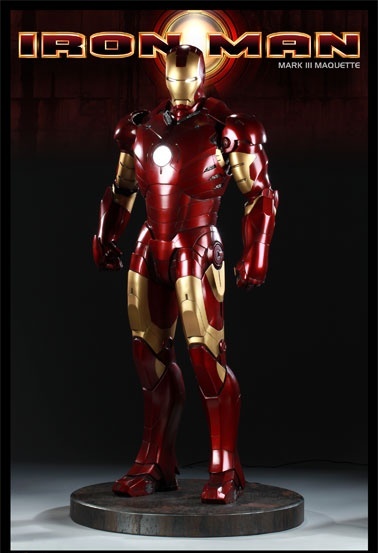 Sideshow Collectibles and Legacy Effects are proud to bring you the Iron Man Mark III Half-Scale Maquette from the blockbuster Iron Man film. 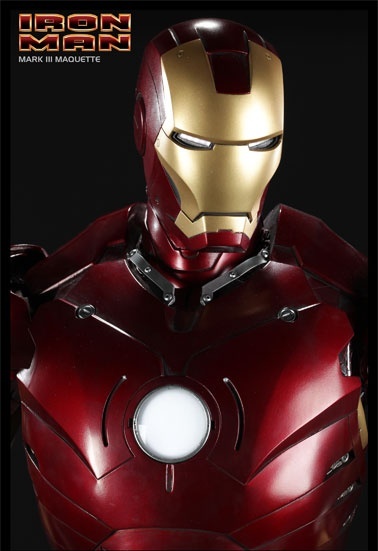 Sideshow’s team collaborated with Legacy Effects to create this incredible half-scale maquette, which was used to develop the original screen-used costume, capturing the awesome detail of Iron Man’s legendary armor. Each piece is individually painted and finished, each with its own unique quality and detail that is the trademark of a handcrafted Sideshow Collectibles product. 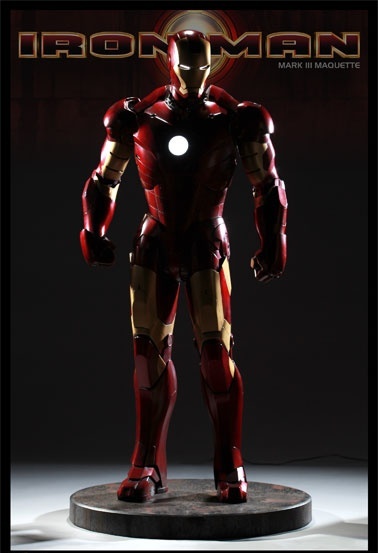 Standing approximately 40 inches high, the maquette is crafted of polystone, fiberglass, metal and other materials to best recreate the Iron Man armor as authentically as possible. LED light-up eyes and heart add incredible realism, powered by the supplied power cord and wall plug . 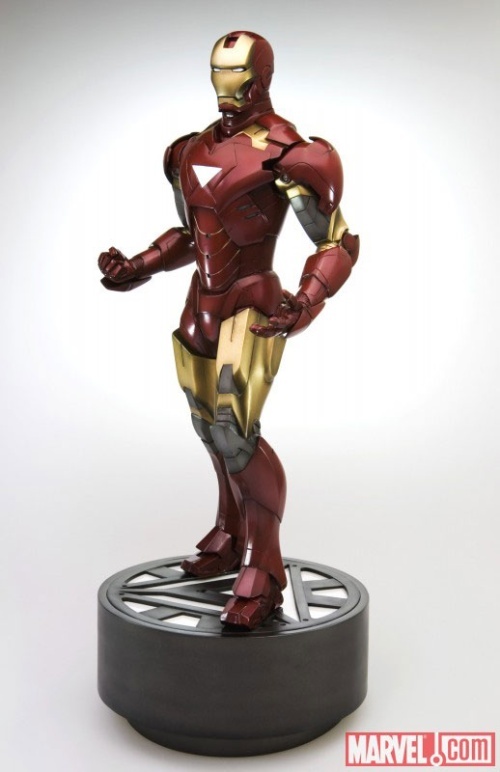 The Iron Man Mark III Half-Scale Maquette is the ultimate Iron Man collectible, and sure to be the centerpiece of your display. Every once in a while I skim SideShow Collectibles to see what else they have come up with that I can’t afford. If you don’t know SideShow is one of the top creators movie, comic, and TV memorabilia. And they have come up with some very interesting creations but this time I was amazed to see this Iron Man suit which is about 1.016 meters tall, and that is pretty big, I saw it and thought I wanted it but then I looked at the price of $2000, but that would be an amazing model to have and with SideShow items your guaranteed quality. 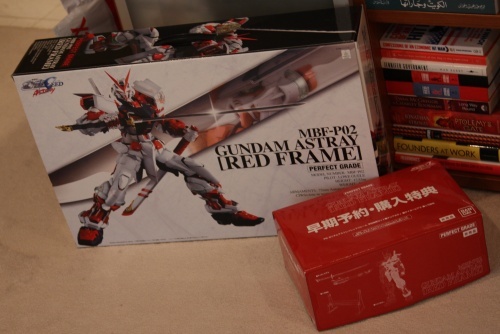 I have gotten more and more involved with the models over the past year, I recently got my hands on a Gundam Astray which isn’t easy to find since its very much in demand. I have never built such a complex model before, the most complex build of any type were my Tamiya cars or Lego Technic, but this one was easily over 500 pieces. 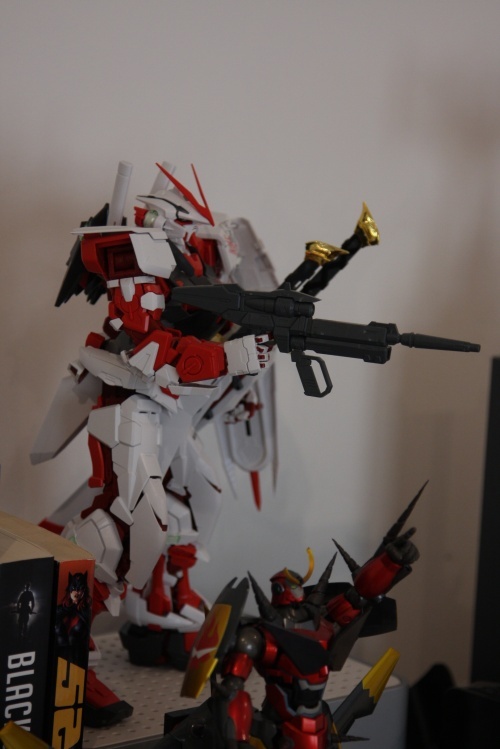 Its a Perfect Grade class Gundam meaning a full articulate body with every movable joint possible including the fingers to make fists or open palms. When I first started this a while back I chose a location with the least amount of people to see it spread out all over the floor. The instructions were in Japanese but my hat goes off to them for giving excellent instructions on how to build it, luckily I had the right type of scissors to cut the plastic to make for a perfect fit, and I had my Leatherman Skeletool to intervene when needed. This took over 6 days to put together and careful planning, there were a few screw ups along the way but I managed to back track my mistakes and fix it. I am very happy with this very large model which stands clear at 33 centimeters high from head to toe. 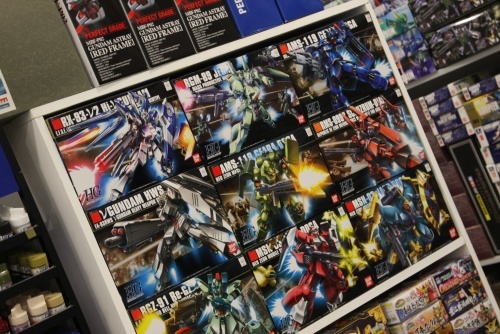 I think I am addicted to having these models and building them to perfection, I have a few more models that I have bought but kept aside to build later but non as complex as this, but there are a few Perfect Grade Gundams that I am bidding for on Ebay and crossing my fingers. I just can’t seem to get enough, I’m running out of shelving at this rate, and he is standing on my Sonos unit.